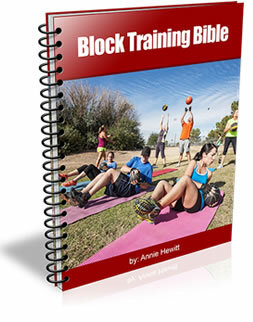 The Block Training System is especially designed for men and women that are fed up with fad diets and false promises. 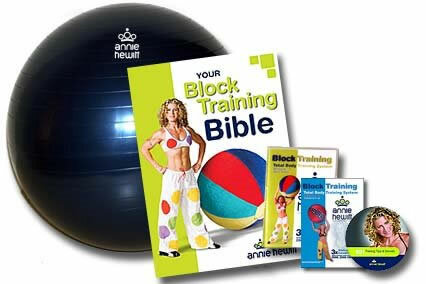 This unique program created by Annie Hewitt is a 20 min easy to manage total body training system. 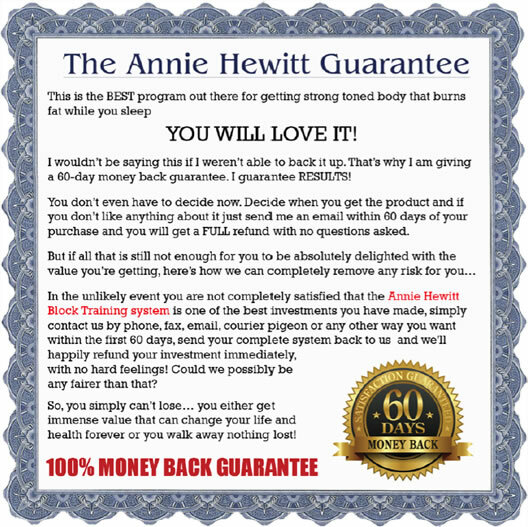 Annie’s dynamic and lively program is guaranteed to get you motivated and help change your mindset. The Block Training System targets individual muscles and then integrates them as a group, increasing the heart rate, thus burning more calories to achieve fat lass over the whole body. You set the intensity using your body weight and fit ball provided, to stimulate and activate your body’s metabolism, facilitating this whole body work out – anywhere, any time in the comfort of your own surrounds. 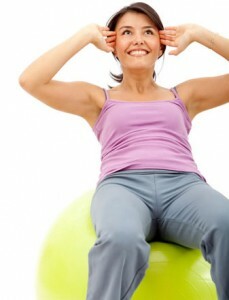 Using ONLY your body weight and a fit ball to train in the comfort of your own home. 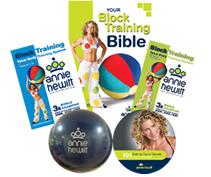 You can go through the motions with Annie and learn how to exercise correctly for maximizing results that last. You are going to lose weight by creating a body which burns fat and maintains the building of lean muscle mass. Real results will be seen in your clothing size, body measurements, skin folds or waste and hip circumference. Step by Step instruction demonstrating each exercise for maximum results by Annie. That will keep you focused throughout the training program to achieve your goals. Within 21 days you will start seeing positive changes in your energy levels, posture and you will have strengthened your core. Leading to less problems with your back, sleep and motivation. I like to reward the action takers, that’s why I’m giving you 2 FREE BONUSES TODAY! Yes I’m Sold, Buy Block Training Now! I am so confident in this product that I am offering a 60-day money back guarantee. If you are not satisfied with this program I will give you a FULL refund. 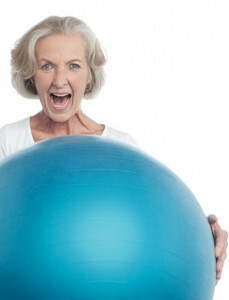 Are you ready to get toned, strong and feel amazing? It really is a no brainer. Would you rather pay $80+ a month for a gym membership instead of having a one-time payment of $47?